Joe works with a select group of successful people to protect their families’ legacies, make working for money optional, and strategize their Charitable Planning in order to redirect tax dollars to the causes they care about. His clients include business owners, professionals, widowed and divorced individuals, and retired couples, as well as a wide range of businesses and nonprofits. Joe’s father, Larry (founder of Foster Financial Group), encouraged him from an early age to read and listen to books and audiotapes on Financial Services and Personal and Business Development. By the time he got to college, he was already attending his first training meetings in the field. 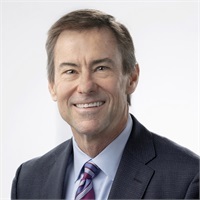 After earning a degree in Accounting from the University of Texas at Austin in 1983, he joined Peat, Marwick, Mitchell & Co. (now KPMG) as a CPA before entering the field of financial services in 1987. He holds Series 7 and 63 licenses through Ameritas Investment Corp.
Joe is a recipient of the True Blue award sponsored by the Wall Street Journal’s publication True Blue Business, and he has appeared on the McQuistion Program to discuss 401k plans with Scott Burns, the former, longtime Dallas Morning News financial columnist. Joe enjoys working out and playing golf, but his real passion is his relationships with friends, clients, and, most important, his family. He and his wife, Kelly, have been happily married since 1988. They have three daughters, Taylor, Hayden, and Chandler. He is deeply devoted to participating in local and international outreaches. His involvement in ministries such as e3 Partners, I Am Second, Amazon Outreach, East-West Ministries, and Strategic Impact, take him all over the world sharing the love of Christ. Joe also supports the Abiding Fathers ministry and is a member of Watermark Community Church.